WASHINGTON (Reuters) - A three-judge appeals court panel on Thursday questioned the U.S. Justice Department's challenge to a lower court approval's of AT&T Inc's $85.4 billion acquisition of Time Warner. "Where is the clear error?" U.S. Judge Judith Rogers asked Justice Department attorney Mike Murray, who called the lower court's approval of the deal "myopic." "You have to show that there's a harm to competition," Judge David Sentelle said at another point. "Remember where the burdens are," he added later. Much of the argument at the U.S. Court of Appeals for the District of Columbia delved into whether a lower court judge, U.S. District Judge Richard Leon, properly treated economic models of the merger's impact on future prices for pay-TV customers. The core of the Justice Department’s concern has been that AT&T, which owns DirecTV, would use ownership of Time Warner’s content, such as CNN and HBO's "Game of Thrones," to make pay-TV rivals pay more, thus forcing them to charge consumers more. The deal was significant for two other reasons. First, President Donald Trump, who has famously tangled with Time Warner's CNN, has vociferously opposed the deal. Second, it is a rare instance of the government seeking to stop a merger of a distributor and a supplier. 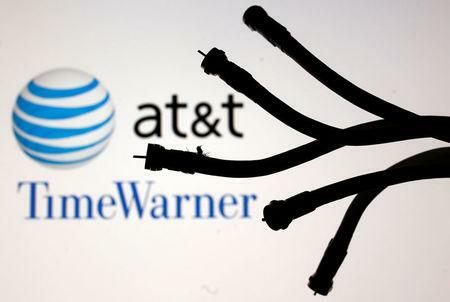 Much of the argument focused on how AT&T, which owns DirecTV, would use the threat of withholding Time Warner's Turner content, including CNN, in licensing disputes with rival pay TV companies. The government had argued that the threat of a blackout, withholding the content, would force the smaller companies to pay more, thus raising prices for consumers. AT&T lawyer Peter Keisler cast doubt on this economic model but faced questions over an arbitration offer that AT&T made to smaller pay-TV companies, pledging that it would not black out Time Warner's Turner content for seven years. "Of course, we will honor it," he said. The Justice Department's Murray said the offer was "too little, too late." He said the smaller pay-TV companies worried that it was inadequate to protect them. AT&T, the No. 2 U.S. wireless carrier by subscribers, agreed in June to manage Time Warner's Turner networks separately from DirecTV, including setting prices and managing personnel, until February 2019 or the conclusion of the government's appeal. The deal was seen as a turning point for a media industry that has been upended by companies like Netflix Inc and Alphabet Inc's Google which produce content and sell it online directly to consumers, without requiring a pricey cable subscription.